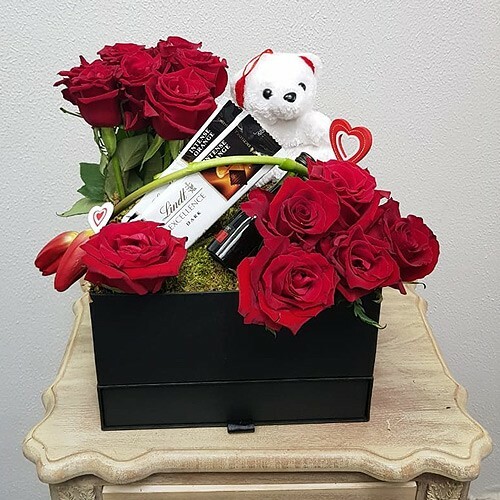 Your beloved will feel ecstatic after receiving this love hamper composed 9 red roses, 3 tulips / roses, Remy Martin Cognac, chocolate, and a teddy bear. Decorated with love, this box arrangement will portray your love loud and clear. Note: Can be delivered only within Beirut and Jounieh areas.